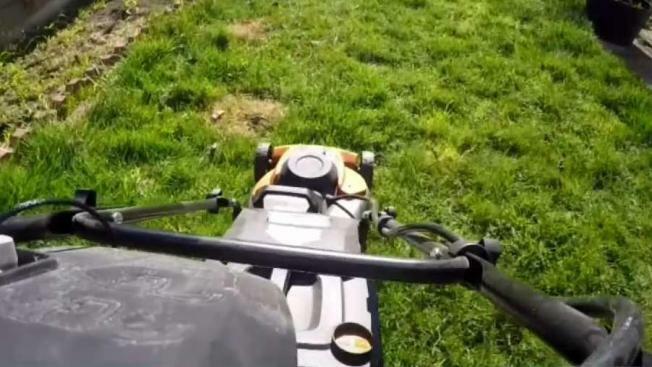 "The lawnmower, in a nutshell, doesn't work"
A busted battery is undercutting one man's ability to cut his lawn, and he's not alone. Keith Patterson bought what he thought was an environmentally friendly mower that would help him cut his grass and reduce his carbon footprint, but instead he and others are cycling through battery after battery - and their grass remains long. The mower maker - Worx - is now named in a class-action lawsuit filed by a lawyer representing other disgruntled customers. Worx says its machine, "has a long battery life, plus plenty of power to tackle the toughest lawns," but Patterson said the mower runs for only minutes at a time. "The lawnmower, in a nutshell, doesn't work," he said. "It's a piece of garbage." Patterson said the company sent him replacement batteries, but those have been a bust, too. Those batteries are going into the landfill, meaning that environmentally friendly mower isn't so environmentally friendly, after all; "I don't think that's eco-friendly," Patterson said. Attorney Brian Kabateck, who filed the lawsuit, points to online reviews from other customers. "The battery dies really fast," reads one review. "Battery did not even last five minutes," reads another. "I'm throwing my mower in the trash...waste of money," wrote another exasperated customer. Kabateck said Worx needs to either refund customers for the $250 lawnmower or come up with a battery that actually works. NBC4 contacted the company about Patterson's complaint and the lawsuit. Worx did not respond to Patterson's issue, but said in a statement that it "does not comment on pending litigation." So for now, Patterson is stuck with a worthless mower and uncut grass. For consumers, this should be a good reminder to read the reviews when they buy a pricey product. If the same gripe appears over and over again there might be something to it.